If you've ever been to a Hoop Dreamz camp, you know first-hand it's much more than ordinary skills, drills and fun competition. 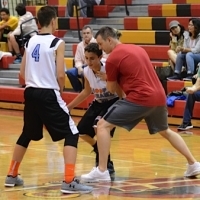 This program teaches players proper fundamentals and techniques in a fast paced, basketball realistic environment. Players will progress quickly with this weekly series. High level teams for the serious and competitive player, featuring team practices, and league and tournament play. 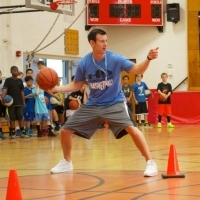 One day clinics that focus on specific skills to help players get an edge on their competition. 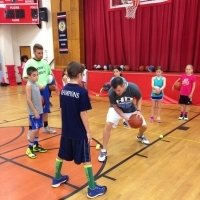 Our goal is to get kids in the gym and to get them better at basketball. 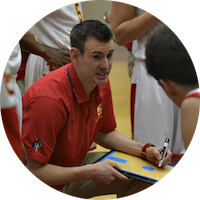 We touch on defense, shooting, dribbling, passing, offensive moves to the basket, and improving ones athleticism. Just wanted to send a note to say how happy we were with the fall AAU season. This was Samantha's first year with Hoop Dreamz and she played with the 6th grade girls. Not only did she have an amazing time, her basketball skills have improved tremendously. We were very impressed with Coach Jasmine and Samantha is looking forward to the spring season! Lauren & Mike – Washington Twp. The Dream Academy was probably one of the best things we've ever spent our money on. Gunther gained so much from this and not only improved his basketball skills but his overall attitude. Billy, I just wanted to reach out to you and thank you for another great season at Hoop Dreamz. This year our goal was to let Ben play the game he loves and also prepare him for the school team try-out. This morning we found out he made the team. We are so happy for him and so grateful to you, Chris and all the other coaches for their guidance. We appreciate the positive way you and your staff coach Ben. His confidence on the court has grown tremendously. He knew walking into school today that he deserved to be on the team, whether he made it or not. Thanks again. Just wanted to send a note to say thank you! My son Noah was in your Tuesday academy this spring (3rd grade). He was probably the smallest out there but he worked hard and loved the class. Watched him play a little one on one with my nephew this weekend and he worked some moves that I didn't even knew he had. We were blown away at how much he took in over the 8 weeks with you. He is away for the summer but you will see him again for sure. Thank you! Billy, You did a tremendous job with the boys this season. The boys did a fabulous job and you should be very proud of what you accomplished. You and Lauren do a great job with the program and have all our confidence and support of Hoop Dreamz. We could not be prouder to have two of our children be apart of the Hoop Dreamz family. It is a excellent program and could not be happier. Caroline and Thomas have enormous respect for you and the program. We owe this exclusively to you, Lauren, and all the coaches. Good news for Jeremy, he made the TZHS basketball team and they said he has a good chance of getting on JV this year also (fingers crossed) - your training, confidence building and organization has had a great impact on him over the years. Our sincerest thanks, it means a lot to him and to us. Brandon has made great improvements because of your program which my husband and I can't say enough about. We love the coach's philosophy and the way he handles the players. He is so amazing! Thank you so much for offering such a fantastic program. We are so lucky to live in this area and benefit from you guys. All our family's love to you and what you guys give to the community. Our boy is a better player and better person due to your program. 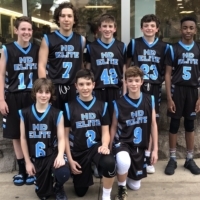 We are so thankful for “HOOP DREAMZ” – and especially Billy – we are so grateful that Eric (and Greg) has learned so much from Billy and reinforced the values that they take with them when they play school team sports. Leading by example, “trust, care, commitment” – those life lessons Eric is getting from Billy and the same values his dad is teaching Greg and Eric with 54 other Boy Scouts! But when I talk to Eric about “trust” and “respect”, it’s not usually Boy Scouts that come to mind first, but “that’s what Billy teaches”! Jasmine, Thanks for another great season. You are an amazing coach and Samantha loved playing for you. Her skills have improved tremendously playing in the fall and spring on your Hoop Dreamz teams this year. We appreciate you commitment to the team and your love of the game. Hope you have a great summer! I just wanted to send you both a quick thank you for setting up the OC trip. It was a great experience. The boys had an opportunity to spend the weekend together, as well as experience different competition. Nick had a great time and he loves being part of Hoop Dreamz. It really has been great for his self confidence and his overall growth. You run the best youth sports program out there! Thanks again!